AMAZING! SEARCH FIFTY DIFFERENT SEARCH ENGINES FROM ONE PLACE FAST! New Flash Web Sites You Will Enjoy! Limited Time Public Page! NAIS Members Only Skip Trace Portal-Hundreds Of Aids! 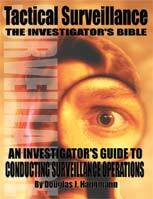 Register For Free And Get Investigative Free Stuff! Hundreds Of Free PI Reference Materials! Join NAIS & Access Members Only Section! Searchable Database-Access The Invisible Web! Join The PI Hotlinks eGroup! Meet Our Friendly Staff! Put a Picture To The Telephone Voice! Review A New Generation Of Investigative Equipment! Case Referrals For Process Servers! Join The Process Server's eGroup! PI Newspaper-Investigative Topic News Every Hour On The Hour! Post And Read Free Classified Ads! Join PI Classified eGroup! Can Ben Laden Attack The United States With Nuclear Weapons? View Images Of Anthrax Letters Sent To NBC, The Post And Senator Dashle Office! What To Look For On Letters And Packages! Conducting Computer And Internet Countermeasures! NAIS ANNOUNCES 2002 AUTHOR OF THE YEAR JACK W. MURRAY! 2002 NAIS LIFETIME ACHIEVEMENT AWARD-BUDDY BOMBET! NAIS INVESTIGATOR OF THE YEAR 2002- JOHN LAJOIE! PHOTOS FROM 2002 THE NEW ORLEANS SUPER CONFERENCE! Copyright: 2003, Thomas Investigative Publications, Inc. All rights reserved.